Influencer Marketing- something you’ve probably heard a lot about recently. Many think it’s a no brainer and the best thing since sliced bread (in the social media world anyway), some see it as being no different from traditional PR, and others are intrigued but do not fully understand the ‘how’ or the ‘why’. Influencer Marketing is not all about finding the Zoellas relevant to your industry or brand; it’s also about understanding the specific topical issues relevant to your brand and finding ‘Micro Influencers’ that you can build and nurture a mutually beneficial relationship with. The main difference between traditional PR and influencer marketing is that the relationships built are mutually beneficial, genuine and organic, whereas PR often involves monetary agreements. The hurdle some brands cannot quite see beyond is that it can often take slightly longer to reap the rewards from influencer marketing- but as the saying goes, Rome wasn’t build in a day; but when it was finished, we were left with one of the most beautiful cities in the world. Influencer marketing when executed correctly and with patience can be extremely effective in achieving anything from lead generation to brand awareness – many of which cross over. 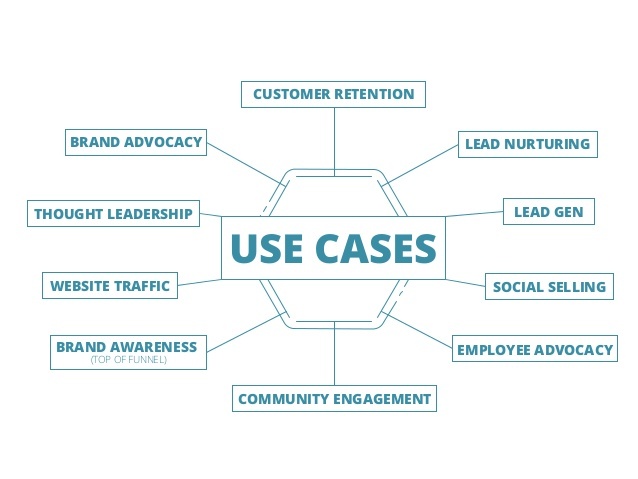 If you’re feeling anything from sceptical to intrigued and would like to understand the ‘why’, then read on to learn of the 10 most common use cases for influencer marketing. A consumer choosing between two brands appearing fairly similar like-for-like, will more often than not turn to price to aid in their decision making. However, as mentioned in my previous blog post on How to Market to Millennials, consumers such as those in the millennial market do prioritise other factors such as company ethos, their personal connection with the brand and the alignment between their own image and values with those of the brand. Associating your brand with relevant influencers can help you achieve differentiation from your competitors- aiding in customer retention. For example, 2 cosmetic brands may have a very similar product range of equal quality and price, but one brand working with an influencer that advocates using cruelty free cosmetic products will help to retain customers that also advocate this issue. An influencer relevant to your industry will have a whole new network of additional relevant people that you may or may not have been aware of- whether they be other influencers with their own network or potential prospects. After all, all influencers started somewhere and will therefore have industry contacts. Working closely with an influencer opens up opportunities for your brand to be exposed to potential prospects who at that moment in time may actually on the market for something to your brand’s offering. This will generate warmer leads, as opposed to the dreaded cold sale- which is far more convenient for both your sales team and your potential prospects. In addition to generating warm leads in an organic way, influencers can create a common ground between your brand and a prospect- aiding in the nurturing process. Integrating an influencer marketing platform such as our IRM tool (Influencer Relationship Management), allows you to interact with and nurture prospects in a less intrusive and ‘salesy’ way. For example within our IRM tool, you can set up tailored alerts to be notified when a prospect is tweeting around a particular topic relevant to your brand- a prime opportunity to enter a conversation to build rapport. Particularly within the Social Media industry, influencers are often potential prospects and vice versa- therefore immersing yourself within the influencer community can naturally nurture those leads. Collaborating with influencers is a very effective method of marketing your brand across social – other than solely focusing on traditional adverts such as PPC (Pay Per Click). Knowing the topical issues relevant to your industry and brand, as well as the relevant influencers means that you can track activity across social amongst that community and enter the right conversations at the right time, between the right people with the right message. Again, in terms of cost and results, this is a very effective way to promote your brand in ways other than conventional advertising. Especially since consumers are turning to social media to seek reviews and advice on a brand- especially in the millennial market. Being aware of the way in which your influencer community are communicating across social also allows you to alter any wording on your website or blog posts, so that it’s more likely to resonate, be shared across social media and in turn generate more leads/sales/web traffic. In order to build relationships with influencers, it is important to communicate on the platforms they’re most active on. It’s integral not only to build a relationship with influencers on a brand level, but also at an employee level. Humanising your brand increases integrity; making it easier for people to get on board and feel a connection with your brand – as consumers are more likely to trust an individual than they are a brand. Building relationships with influencers on an employee level will not only increase brand awareness, but it will create a name for your employees- which is especially beneficial for marketers and content creators. Having a presence on social media is becoming the norm amongst consumers, highlighting the need for brands to also have a presence on social media. You cannot just expect to be catapulted into a community, you have to build relationships and drive engagement, as the influencer community is very well connected. Influencer marketing isn’t just a case of identifying influencers, you must also gain an understanding of how those influencers connect together and where you can potentially fit in. Collaborating with influencers enables you to naturally immerse yourself within the community. This will aid in you being the ‘go to’ brand for your industry area. 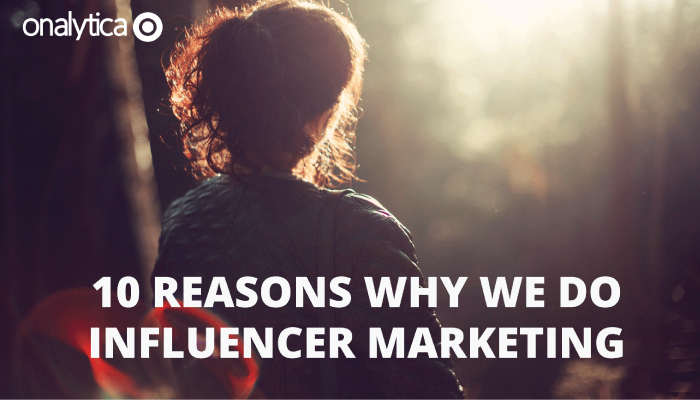 It comes as no surprise that working with influencers will drive brand awareness. Influencers are, as the name suggests, very influential- therefore their followers listen to and trust their opinions. So an influencer mentioning your brand will drive positive awareness and interest in your brand- driving potential sales and leads. All of the above points will aid in increasing website traffic. Working with influencers will increase your brand awareness; as will having a stronger presence on social media in general. Influencer marketing can be used to improve SEO rankings; a major aspect of increasing web traffic- something we have touched on in a previous blog post. Collaborating with influencers opens up copious opportunities in terms of content. Not only can they offer a different angle or style on topics you have already covered, but they may be an expert in a particular area you haven’t yet covered. Content marketing has become a strong focus for brands as it is not only educational for consumers, but it is a very effective way to promote your brand- both in terms of results and cost. Thought leadership is equally a very effective way to drive enquiries and leads. Building an authentic relationship with an influencer requires patience, dedication and consistency. However, once the building blocks of a relationship are laid between your brand and an influencer, the feasibility of them transitioning from an influencer into an advocate increases. When you reach this stage, not only are they going to be advocating your brand, but the likelihood of them mentioning your competitors also diminishes- a win win. If you’re trying to achieve one of the above and think influencer marketing may be the solution, why not trial out our influencer discovery tool for free here?